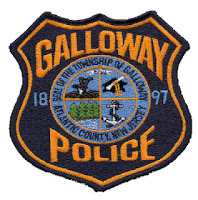 According to Police, Rimi Jahan, 18 of Galloway was walking to school on March 25, 2013 at 6:49 a.m. when a vehicle struck her on Wrangleboro Road just past the intersection of Collins Road. Michael Haluska, 40 of Manahawkin was traveling southbound on Wrangleboro Road just passed the intersection of Collins in a 1990 Volvo Sedan. Shortly after Haluska passed the intersection he struck Rimi Jahan, who was walking to school and did not cross the road at the designated crosswalk. Jahan was transported to Atlanticare Regional Medical Center and treated for minor injuries to her head. Complaints are currently pending as the investigation is ongoing. The investigating Officer is Patrolman Thomas Guercioni.